The Greater Coachella Valley Chamber of Commerce presents annual State of the City addresses across our valley, including the communities of Cathedral City, Coachella, Indio and La Quinta, and participating tribal nations. The business community is invited to hear presentations by city leaders detailing the progress the city has made in developing and growing business. The business community welcomes the new Board of Directors to the Greater Coachella Valley Chamber of Commerce, as well as out local chambers. In addition to recognizing the contributions of outgoing board members, we also introduce or new directors and welcome back returning members. The event is combined with our annual business awards recognizing leadership and business accomplishments from across the valley. 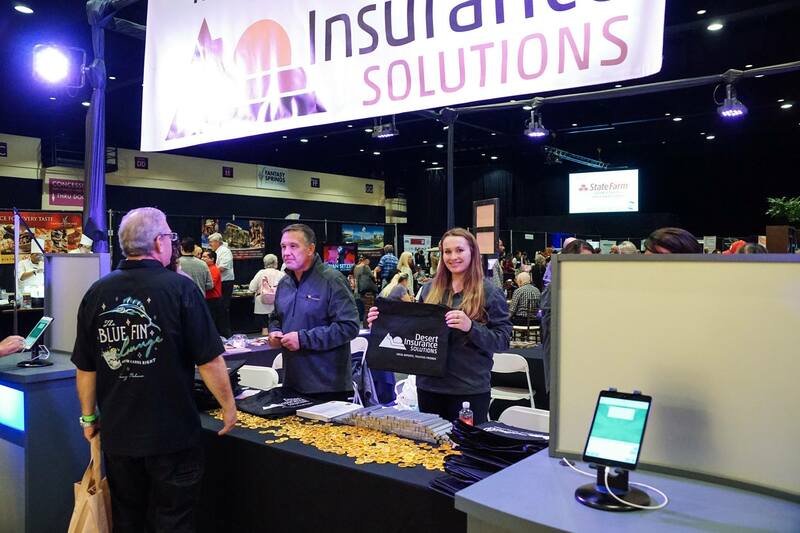 Approximately 100 innovative exhibitors fill our showroom to highlight our community resources, local business professionals, leaders, business owners, nonprofit organizations and popular attractions – all with an emphasis on shopping local. There is a mixture of new start-ups and long-established businesses to welcome an annual attendance of 1,000+ residents and business leaders. Much of the rich culture and heritage of the East Valley can be found in the kitchens and dining halls of its restaurants. They offer recipes that have been handed down through generations of family ownership, having become a part of valley life. The East Valley has a long and storied tradition that spans more than 50 years of service for some of its establishments. The annual East Valley Restaurant Week in October showcases restaurants throughout the eastern portion of our valley, from the cove of La Quinta to the emerging developments in North Indio. In additon to restaurant Week, the Chamber also host a Taste of La Quinta and Taste of Indio event. For more information visit TasteLQ.com or CVDining.com. This popular event is hosted by the Chamber and the City of La Quinta, featuring great family fun! Over 150 Hot Rods, Custom Cars, and Motorcycles will participate. There is something for everyone – live music, family fun area, food vendors, beer garden, and more. Stock and Motorcycle Awards Ceremony recognizes the best of show. Admission is free so br ing the whole family and enjoy a fun day in the beautiful La Quinta Community Center Park! The Chamber teams up with the City of Coachella and Entravision to host one of the largets community celebrations in the valley at Rancho las Flores Park in September. Over 15,000 people will be on hadn to enjoy live music, food, vendors and activities. Free to attend! Greater Coachella Valley Chamber members are welcomed to showcase their business to the public in our vendor village. Business leaders and professionals from across the Coachella Valley come out for a day of fun and networking at the annual Greater Coachella Valley Chamber Golf Tournament. In addition to great golf the event features raffle prizes, lunch, contest and more! Sponsoring a tee sign or having your business “On the Green” is another way to earn great exposure and network. Put on in cooperation with the City of Coachella, the annual Tacos, Tequilas, and Chavelas Festival at Veterans Memorial Park is a unique celebration of valley favorites. The event features a live DJ, mechanical bull rides, roping and corn hole games, taco vendors, salsa bars, and aguas frescas! More than 15 taco vendors compete for the “Best of Festival” title. The Southwest Arts Festival is celebrating its 30th Anniversary and is held annually at the Empire Polo Club in January. Every year the Festival continues to evolve and attract a high caliber of talented artists and unique artwork. The festival features interactive art, with pottery, glass blowing and fine art painting scheduled to be on display. Visitors can also enjoy a variety of food and beverage options while casually walking the grounds to the subtle sounds of jazz music. Each year the festival features over 25o artists from around the world and has been recognized as one of the Top 100 Events in North America by Travel Magazine. The festival includes traditional, contemporary and abstract fine works of art and quality crafts. The Festival’s reputation for first-class quality and professional integrity make it one of the country’s finest. For more information visit www.SouthwestArtsFest.com. Indio Movies in the Park is a joint venture with the City of Indio and the Desert Recreation District, bringing free outdoor movie showings monthly. The community is invited to bring blankets and snacks to a public lawn area to enjoy a movie on the giant 35-foot outdoor screen. Join members of the Chamber and the Cathedral City community as we honor the “Stars” of the area at the Annual Orion Awards and Dinner Celebration. Held annually at the DoubleTree Hotel, the Orion’s is a celebration that includes dinner, networking, honoring stars, fun, silent auction, and more! 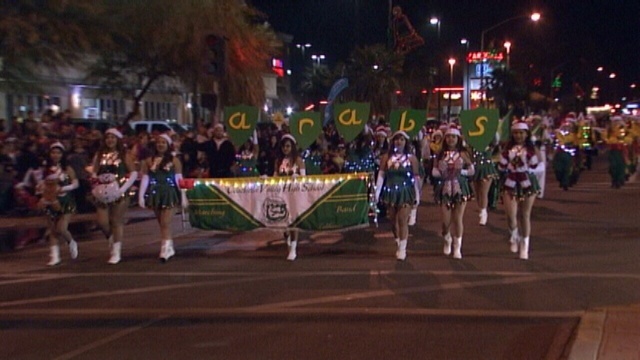 Join the City of Coachella and the Chamber for the City’s Annual Holiday Parade. The event will include traditional holiday fun, music, dance shows, ice skating and festive floats decorated with lights! Be sure to visit Veterans Park for the Best Musical Performance contest and the awarding of the Mayor’s Trophy for best parade entry! The parade route starts at 1st and Harrison and ends at Veterans Park. The event is free to attend and all are welcome. To submit your own community event, click here.